Physically, FOTOCAT is an Excel spreadsheet of UFO and IFO cases in which a photographic image has been obtained on film, video or digital media. It contains 27 data columns to register the date, time, location, province and country, explanation (if one exists), photographer's name, special photographic features, references, etc. When completed, the full catalogue will be posted on the internet, for free access to the worldwide UFO community. As per today, the number of image-carrying UFO reports stored in the FOTOCAT databank is 10,135. Region listings, for checking and improvement purposes, are available on request. AN APPROACH TO UFO PHOTOGRAPHS IN FRANCE Lo and behold the title of the latest theme paper published from the archives of FOTOCAT. This 38-page report is a preliminary accounting and basic analysis of 500 photographic events collected for France. The compilation of the FOTOCAT database is not an end in itself, this will certainly be a large working tool for researchers, but a major objective of this program is the build-up of subject, geography and year-oriented works which describe in some detail the worldwide panorama of UFO pictures, including data-reduction and study of specific case catalogues, both on unexplained and explained occurrences alike. UFO close encounter picture by 16-year-old boy Christophe Fernandez at Uzès (France), November 19, 1974. Credit: Thierry Gaulin. When the base study was completed in 1988, there were just 6 abduction reports known to have originated in Spain, allegedly dated from 1947 to 1985. Research disclosed that all of them had been reported after 1978 and that conventional explanations could apply to all the cases. Additionally, 5 other reports of so-called “missing time” were also scanned, two of which were unexplained at the time (one was fully solved later and the other still lacks proper investigation). These are objective data. In our humble opinion, we are left with an unreal phenomenon created by the influence of US abduction stories when locally publicized. The research findings of the paper we brought here, to the attention of readers who may not know it, make it quite legitimate to question whether the abduction accounts that have been used elsewhere to form the basis of a new facet of the UFO enigma do really have an implicit merit. From today´s perspective: Was our analysis an unsophisticated approach, or were we right and are abductions just a new mythology for folklore scholars? Is then the opposite view to ours badly biased with credulity? The Abduction Enigma (The truth behind the mass alien abduction of the late twentieth century), Kevin D. Randle, Russ Estes & Dr. William P. Cone, New York: Forge Books (June 1999). Abducted (How people come to believe they were kidnapped by aliens), Dr. Susan A. Clancy, Cambridge: Harvard University Press (2005). They Know us Better Than We know Ourselves (The history and politics of alien abduction), Dr. Bridget Brown, New York: New York University Press (2007). Encounters at Indian Head (The Betty and Barney Hill UFO Abduction Revisited), Karl Pflock & Peter Brookesmith (editors), San Antonio: Anomalist Books (2007). Las abducciones, ¡vaya timo!, Luis R. González, Pamplona: Laetoli (2008). • Were There Aliens in a Cuenca Village? 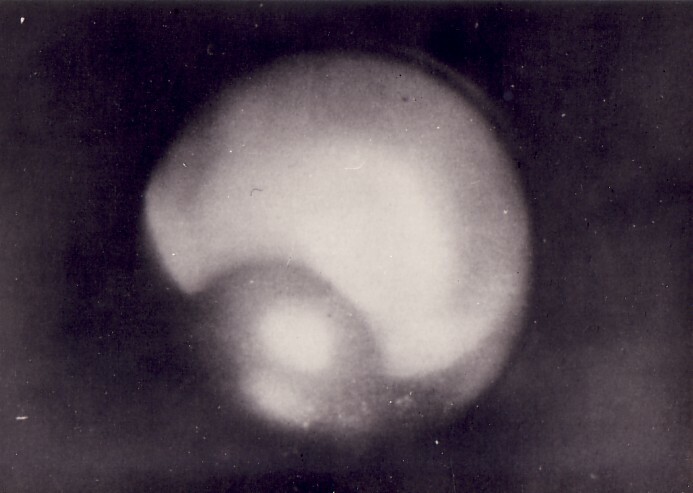 Norway in UFO Photographs: The First Catalogue (with Ole Jonny Brænne) (UPIAR, 2008). José Antonio Cezón (on the right side) and V.J. Ballester Olmos, Valencia, May 2010. Unknown to the public because of his self-appointed low profile in mundane ufology, José Antonio Cezón Alonso is a long time UFO student. He was a founder of the Madrid branch of CEI back in 1968. Industrial technical engineer by profession and M.A. in Geography and History by vocation, Mr. Cezón has kept a live interest in UFO matters all these years, having cooperated with me and with other ufologists in different investigations in the last 40 years. In the last months, Mr. Cezón and I are developing a catalogue of UFO landing reports in Spain and Portugal known after 1985. Coincidental with a recent archeological-historical trip to Eastern Spain, we had the opportunity to arrange a meeting in Valencia in order to compare notes on the work we are doing together, during which we made the accompanying picture. Between 1977 and 1989, the Commission for the Investigation of Anomalous Phenomena in the Atmosphere was active in the old USRR, created within the Academy of Sciences and directed by academician V.V. Migulin. The representative from the north of the country in this committee was Dr. Sergey Chernouss, presently senior scientist at the Polar Geophysical Institute and a renowned expert in aurora borealis. Chernouss and his colleague, astrophysicist Dr. Yulii Platov have been cooperating for 35 years in the study of the UFO phenomenon in Russia. Dr. Sergey Chernouss (right) and V.J. Ballester Olmos, Barcelona, August 21, 2010. I already had the pleasure to meet the two Russian scientists in August 1995, when we participated as lecturers in a congress organized by BUFORA at the Sheffield Hallam University (UK). It was a congress not to be forgotten because it was there where for the first time exploded the infamous footage of the Roswell autopsy, a fraudulent film that we were able to watch in a first exclusive. In the last month of August, Chernouss delivered a paper, co-authored with Platov and two other scientists, at the 37th European Congress on Atmospheric Studies by Optical Methods, held in Valladolid (Spain), August 25 to 27. At the last minute, unfortunately, Dr. Platov could not travel. As the flight of Dr. Chernouss arrived to Barcelona, we agreed to meet there, where I would travel from Valencia (350 km in the south). On August 21, I met Sergey Chernouss and we could devote several hours to talking about our common interests: ufology, the nature of UFO cases, Government UFO commissions and our role in them, basically on issues of UFO research, bibliography, etc. The most pleasant meetings were held in different places, a pub near Paseo de Gracia, sight-seeing in the Barceloneta beach, in a restaurant during lunch time and in an open air coffee shop by the Plaza de Catalunya (consulting works through the laptop). It was very useful to exchange viewpoints, information and books, and to make plans for a future joint research in the area of project FOTOCAT. ○ My appreciation also goes to Ruben Uriarte, of MUFON, for allowing free access to the organization's Case Management File, in order to gather information on UFO reports from their computerized system. This section will display a sample of UFO photographs or footage whose study is revealing, or educative at least. Madrid, September 5, 1968. © Agencia CIFRA and ABC. Madrid, September 5, 1968. © Agence BELGA. From 19.30 hours onward on September 5, 1968, Madrid citizens saw a flying object that gave off light hovering over the capital for an ample period of time. It gathered a large crowd in the streets watching it with great curiosity. It was notorious for the photo that was published the following day on the very front cover of the distinguished ABC newspaper. Among the documents that Belgium's SOBEPS donated to FOTOCAT Project recently (scroll down in http://fotocat.blogspot.com/2010_04_29_archive.html), we were surprised to find this unknown snapshot taken during of the same incident, obtained by a staff photographer for the press agency BELGA, which shows the object in even more detail. Finally it was found out that this object was a French CNES stratospheric balloon, which landed near the town of Elche (Alicante) five days later. I am quite pleased to share this image with my readers. The US-based organization National Aviation Reporting Center on Anomalous Phenomena (NARCAP), dedicated to studying the potential interface between UAP reports and aviation safety, has just released a special report entitled Spherical UAP and Aviation Safety: A Critical Review, edited by Dr. Richard F. Haines, with contributions from Kiyoshi Amamiya, Vicente-Juan Ballester Olmos, Rogerio Chola, Kim Efishoff, John English, Carlos Guzman, Dan Lee, Larry Lemke, Terry Osborn, Mario Rangel, Ted Roe, Alfonso Salazar, Martin Shough, Richard Spalding, Massimo Teodorani, and Dominique Weinstein. This study faces the UAP problem scientifically and offers to the specialist an important amount of information on the features of this phenomena, results of technical investigation and prospects for the future. Thanks to Dr. Richard Haines we have been aware of an interesting and well written article that contain useful information to anomaly students: D. Fidani, “The earthquake lights (EQL) of the 6 April 2009 Aquila earthquake in Central Italy”, Natural Hazards and Earth System Sciences, Vol. 10, 2010, pages 967-978. The author developed and distributed a survey to local residents after the strong earthquake of 6 April 2009 and found about 1,000 phenomena were reported. 241 were luminous in nature. 99 of them occurred before the quake. "Globular lights, luminous clouds and diffused light were more frequent before the quakes," the author reports. Cover of the last book by Dr. Peter Sturrock. Peter Sturrock is one of the few really eminent scientists who is committed to the study of UFOs (his interests also encompass parapsychology). Paraphrasing the book by Charles Dickens A Tale of Two Cities, it shows the life of a scientist who has divided it between a dedication to science and to non-conventional phenomena. Sturrock, English by birth, spent his formative years in the University of Cambridge (the sighting in Autumn 1947 of a round, white object in linear flight for 1 minute was his first encounter with the strange) until he left for the United States, where he married for the first time with an American enthusiast of “unorthodox phenomena”, through whom he discovered the 1950 book by Donald Keyhoe, Flying Saucers Are Real, for which “it made a good case”, he writes. As director of the Institute for Plasma Research, in 1971 he contracted a young French astrophysicist expert in computer science, Jacques Vallee, whom he confesses has been a big influence in his life. After reading Vallee's books, the UFO issue intrigued Sturrock enough that he decided to study it by himself. After that, Sturrock's history in ufology shows a progressive deep interest in UFO investigation and the implementation of influential research activities. I recognize it has much merit to hold counter-current ideas in academic environs. And in that respect, Dr. Sturrock has earned high regards for his courage. As he narrates in his book, his maverick ideas were tolerated by his peers, although it is true that in his championing of the UFO concept he has always been conservative, or -at least- discreet in form and substance1, 2, unlike other radical approaches such as Harvard psychiatrist Dr. John E. Mack, just to give an example. In some of the chapters devoted to the “me, scientist”, Sturrock cites examples of anomalies or anomalous phenomena in the field of Astrophysics whose acceptance gave rise to the discovery of new facts to science. Applications of this corollary to UFO phenomena follow next. But I would like to add a personal reflection: one thing is a mystery or a hole in the tapestry of current knowledge whilst the other is a fact that contradicts or departs from accepted knowledge, a fact which is not based on repeated and controlled experiments. For example, the “anomaly” of the finding of the emission of radiation in regular pulses from neutron stars (pulsars), is a new fact objectively acquired by new detection systems, in the absence of a proper theory. It substantially differs from stories describing UFO sightings, which besides lacking objective backing -these are only supported by human testimony-, are anomalies that have been proved wrong in other similar instances (i.e. misinterpretations). To complicate the issue even more, the incidence of hoaxes in the UFO milieu is large compared with that in the professional scientific environment. For the layman the book is educative. For the scientist it is thought-provoking. For the ufologist it is supportive. It is an autobiography with a plus: it proves that the love for science is fully compatible with the scientific study of UFOs. I agree, of course, yet I validate the term “scientific” in the sentence. To date, most of the so-called UFO research has been pseudoscience, with exceptions. Peter Sturrock is one such exception. He is a true anomaly in mainstream ufology. Peter A. Sturrock, Report on a Survey of the Membership of the Astronomical Society Concerning the UFO Problem, Stanford University Institute for Plasma Research Report No. 681, January 1977. Peter A. Sturrock, The UFO Enigma: A New Review of the Physical Evidence, Warner Books (New York), 1999. 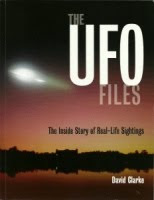 ○ The UFO Files is a book just published by The National Archives of Great Britain. The author is Dr. David Clarke, from whom I have kindly received a copy. Clarke is a professor in the Sheffield Hallam University (UK) and the official consultant to the National Archives concerning the UFO documentation being massively declassified and released. The book has 160 pages and is profusely illustrated. Cover of the last book by Dr. David Clarke. In my opinion, this opus is absolutely essential to assess the process of transfering to society the files of UFO reports kept by the British Air Force and the Ministry of Defense, which, like many other nations, took the wise decision to make publicly available all their UFO archives. The UFO subject is outside the jurisdiction of the military administration because it is over-demonstrated that it poses no threat to national security. The elucidation of the UFO phenomenon must go through its scientific assessment in a transparent way, like any other scientific study. The release of secret files is a key step in the right direction. Probably this will not be the last word about this pivotal UFO case, but this is the word for the time being, pronounced by a notably honest investigator and deep thinker. Have a good reading! The Christian names above refer to the Canadian engineer Gerald Bull, the French ufologist and witness Michel Figuet and the Gaul-American astrophysicist Dr. Jacques Vallee. 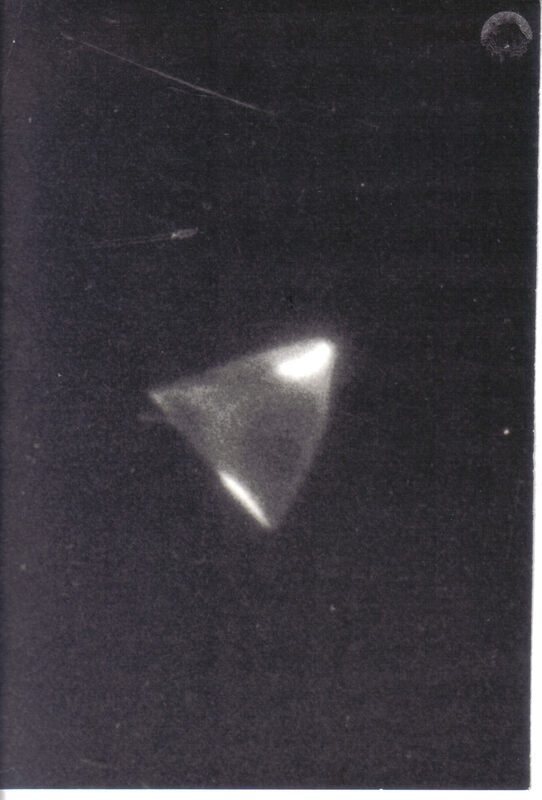 This absorbing article by the pen of Spanish telecommunications engineer and UFO analyst Manuel Borraz Aymerich, provides a broad, realistic background for some UFO observations made on Fort-de-France (isle of Martinique) on September 20, 1965, described in the literature elsewhere. At the same time, some biographical notes on the protagonists add another dimension to the essay. This is not a technical report on a UFO case that can be fully explained. The author attempts to show the path of those who were related to this case, the “maker”, the “convert” and the “theorist” and their interaction (or lack of it) over the years. We will happily supply with state, region, province or nation-oriented catalogues to any active researcher for checking and expanding purposes. Físicamente, FOTOCAT es una hoja de cálculo de Excel que recoge información de casos OVNI y OVI en los que se ha obtenido una imagen en fotografía, película, vídeo o medios digitales. Contiene 27 columnas de datos para registrar la fecha, hora, lugar, provincia y país, explicación (si existe), nombre del fotógrafo, características fotográficas especiales, referencias, etc. A su finalización, el catálogo completo se hará accesible desde Internet para la libre consulta de toda la comunidad ufológica mundial. A esta fecha, el número de informes ovni con mención a fotografías que llevamos registrados en FOTOCAT suma 10,135. Cualquier investigador que desee colaborar con este proyecto revisando y ampliando los casos conocidos de su provincia, puede solicitarnos un listado con ese fin. • Acaba de publicarse el Informe FOTOCAT #6 AN APPROACH TO UFO PHOTOGRAPHS IN FRANCE (Aproximación a las fotografías OVNI de Francia). He aquí el título del último trabajo temático editado por el autor a partir de los archivos FOTOCAT. Este es un trabajo preliminar y sus 38 páginas suponen la contabilización y el análisis básico de un inventario de 500 casos fotográficos recogidos para Francia. En realidad, compilar la base de datos FOTOCAT no es un fin en sí mismo; esto ciertamente representará una gran herramienta de trabajo para los investigadores, pero uno de los objetivos fundamentales de este programa consiste en la creación de informes centrados en periodos anuales, temáticos o geográficos, que describan en detalle el panorama de las fotos del fenómeno ovni, incluyendo tratamiento de datos y análisis de catálogos específicos, tanto con casos inexplicados como con casos explicados. Encuentro cercano con un ovni del joven de 16 años Christophe Fernandez en Uzès, 19 de noviembre de 1974. Fuente: Thierry Gaulin. Entre los números de septiembre de 2008 y primavera de 2010, la revista especializada francesa UFOmania anunció que se hallaba en preparación un catálogo de casos fotográficos de Francia y publicó cinco informes de situación. Gracias al desarrollo normal de FOTOCAT y a la colaboración recibida de varios colegas galos, durante esos meses nuestro inventario pasó de los 350 casos iniciales a alcanzar la cifra final de 500. El trabajo que hoy presentamos revisa la información reunida y los resultados obtenidos hasta el momento. AN APPROACH TO UFO PHOTOGRAPHS IN FRANCE presenta un breve estudio de los casos y contiene un enlace al catálogo completo, para revisión de los estudiosos. Este informe supone el número 6 de la serie de ensayos FOTOCAT (se han publicado todos a excepción del #3 que saldrá a la luz en pocas semanas). Cuando se hizo una primera versión de este trabajo, en 1988, solo se conocían seis narraciones de abducción en España, supuestamente ocurridas entre 1947 y 1985. Nuestra investigación mostró que todas ellas se informaron con posterioridad al año 1978, así como que sin excepción todas podían tener explicaciones mundanas. También examinamos otros cinco casos de lo que se ha venido en llamar “tiempo perdido” (missing time), dos de los cuales estaban sin resolver en su momento (uno ha sido explicado más adelante y el otro está pendiente de estudio). Esto son datos objetivos, a partir de los cuales concluimos que se trata de un fenómeno irreal creado por la influencia las historias de ese tipo originadas en Norteamérica y publicadas aquí. En la revista, el artículo en cuestión fue acompañado por una “Respuesta a Ballester Olmos”, firmada por el Dr. David M. Jacobs, que se incluye asimismo en el anterior archivo pdf. Deliberadamente la dejé sin contestación para no entrar en una polémica infructuosa y potencialmente inacabable. Al fin y al cabo, mi posición había sido claramente explicitada y allí quedaba para el juicio de los estudiosos. Francamente, creí que la mejor respuesta la daría el paso del tiempo. En mi opinión, las investigaciones posteriores en esta materia -tanto académica como por ufólogos expertos- creo que me han dado la razón 1-5 y apoyan la teoría de que las abducciones no son experiencias físicas sino que se derivan de condiciones psicológicas, en donde abunda la fabulación y la imaginación desbordada. Los resultados del trabajo que hoy traemos a colación, aunque antiguo, siguen vigentes y nos legitiman para preguntarnos si las historias que circulan por ahí y que han formado la base de una nueva categoría del problema ovni (las abducciones) tienen o no merito propio. Con la perspectiva de hoy: ¿fue nuestro ensayo un ejemplo de análisis desinformado, o más bien nuestro crítico se vio sesgado por la credulidad? The Abduction Enigma (The truth behind the mass alien abduction of the late twentieth century), Kevin D. Randle, Russ Estes & Dr. William P. Cone, New York: Forge Books (Junio de 1999). • ¿Llegaron los extraterrestres a Cuenca? José Antonio Cezón (derecha) y V.J. Ballester Olmos, Valencia, mayo de 2010. Desconocido para el público por haber auto-adquirido un bajo perfil en la ufología “mundana”, José Antonio Cezón Alonso es un veterano estudioso de los ovnis, ya que fue el fundador del CEI-Madrid nada menos que en 1968. Ingeniero técnico industrial de profesión y licenciado en Geografía e Historia de vocación, Cezón ha mantenido vivo su interés por los asuntos ufológicos todos estos años, habiendo colaborado conmigo y con otros estudiosos en diversas investigaciones durante los últimos 40 años. Desde hace poco, Cezón y yo estamos desarrollando un catálogo de los informes de aterrizaje ovni en España y Portugal conocidos desde 1985, que complemente anteriores trabajos nuestros. Con la ocasión de un reciente desplazamiento a tierras levantinas de carácter histórico-arqueológico, tuvimos la oportunidad de reunirnos para cambiar impresiones sobre el trabajo que llevamos entre manos, momento que inmortalizamos en la fotografía correspondiente. Entre 1977 y 1989 funcionó en la antigua URSS la Comisión para la Investigación de Fenómenos Anómalos en la Atmósfera, creada en el seno de la Academia de Ciencias de la Unión Soviética, bajo la dirección del académico V.V. Migulin. Representante del Norte del país en esa comisión era el Dr. Sergey Chernouss, en la actualidad científico principal del Instituto Geofísico Polar y experto mundial en auroras boreales. Chernouss y su colega el astrofísico Dr. Yulii Platov llevan colaborando 35 años en el estudio del fenómeno ovni en Rusia. Dr. Sergey Chernouss (a la derecha) y V.J. Ballester Olmos, Barcelona, 21 de agosto de 2010. Ya tuve el placer de encontrarme con los dos científicos rusos en agosto de 1995, al participar los tres, como ponentes, en el congreso organizado por el BUFORA en la Universidad de Sheffield Hallam (Inglaterra). Congreso de particular recuerdo porque fue allí donde estalló por vez primera la filmación de la fraudulenta autopsia de Roswell, y que los conferenciantes pudimos visionar en una primera exclusiva. El mes pasado, Chernouss y Platov presentaban un trabajo en el 37 Congreso Europeo sobre Estudios Atmosféricos por Métodos pticos, celebrado en Valladolid (España) del 25 al 27 de agosto. A última hora, por desgracia, el Dr. Platov no pudo asistir. Dado que el vuelo del Dr. Chernouss llegaba a Barcelona, convinimos vernos allí, a donde yo viajaría desde Valencia. Así, el 21 de agosto me reuní con Sergey Chernouss y dedicamos bastantes horas a hablar sobre nuestros comunes intereses: la ufología, la naturaleza de los casos, las comisiones gubernamentales y nuestro papel en ellas, en suma, aspectos de la investigación ovni, bibliografía, etc. La gratísima reunión, sostenida en varios marcos diferentes, una cervecería cercana a Paseo de Gracia, la playa de la Barceloneta, restaurante a la hora del almuerzo y, finalmente, en una cafetería de la Plaza de Catalunya (consultando trabajos a laptop abierto) fue muy útil para comentar puntos de vista, intercambiar informaciones y libros y para hacer planes de futura colaboración en el área del proyecto FOTOCAT. El pasado mes de agosto, la Online University distinguió al blog FOTOCAT como “Mejor blog OVNI” (Top UFO Blog). A partir de una blogosfera de 4.900 nominaciones, sus jueces evaluaron en detalle entre el 1%-2% de los mejores, aplicando varios criterios como contenido, relevancia, entregas, etc., y finalmente 50 de ellos fueron galardonados con el premio mayor, lo que supone que dichos blogs representan una relevante herramienta informativa en el tema. Como nos lo expuso la representante de la Online University, Amy Wilkins, “hemos determinado que FOTOCAT es una parte esencial de nuestros recursos”. El siguiente distintivo acredita esta mención. ○ Quiero también expresar mi reconocimiento a Ruben Uriarte, uno de los dirigentes del MUFON, por dejarnos franco acceso al archivo de gestión de casos (Case Management File) de la entidad, lo que permitirá seleccionar la casuística ovni de nuestro interés que se halle registrada en el sistema. Esta sección se ocupará de ejemplos de fotografías o filmaciones OVNI cuyo estudio es revelador o, como menos, educativo. Madrid, 5 de septiembre de 1968. © Agencia CIFRA y periódico ABC. Madrid, 5 de septiembre de 1968. © Agence BELGA. Desde las 19,30 horas del 5 de septiembre de 1968, los ciudadanos de Madrid contemplaron, suspendido sobre la capital, un cuerpo que despedía luz y que congregó a un gran gentío en las calles que lo miraba con gran curiosidad, durante el largo tiempo que estuvo presente. Es notoria la foto que al día siguiente se publicó en la portada del distinguido diario ABC. Como informé en http://fotocat.blogspot.com/2010_04_29_archive.html, el SOBEPS belga donó recientemente sus archivos gráficos al Proyecto FOTOCAT. Entre sus fondos tuvimos la grata sorpresa de encontrar una toma desconocida del mismo objeto, lograda por un fotógrafo de la agencia de prensa “BELGA” durante este incidente, que lo muestra incluso con más detalle. Se supo después que este objeto fue un globo estratosférico lanzado por el CNES francés, cuyo vuelo terminó en tierra cerca de la población alicantina de Elche cinco días después. Me complace mostrar esta imagen a mis lectores. La organización americana National Aviation Reporting Center on Anomalous Phenomena (NARCAP), se dedica a estudiar la posible interfaz entre informes de UAP (fenómenos aéreos no identificados) y seguridad de la aviación. Acaba de publicar un informe especial titulado Spherical UAP and Aviation Safety: A Critical Review (UAP esféricos y seguridad aérea: Una revisión crítica), bajo la competente coordinación del Dr. Richard F. Haines, con colaboraciones de los investigadores Kiyoshi Amamiya, Vicente-Juan Ballester Olmos, Rogerio Chola, Kim Efishoff, John English, Carlos Guzman, Dan Lee, Larry Lemke, Terry Osborn, Mario Rangel, Ted Roe, Alfonso Salazar, Martin Shough, Richard Spalding, Massimo Teodorani y Dominique Weinstein. Este extenso e impresionante estudio internacional se ocupa del fenómeno UAP/UFO a través de un tratamiento científico, ofreciendo al especialista una gran cantidad de información depurada sobre las características más misteriosas de este fenómeno, así como resultados de investigaciones técnicas y perspectivas para el futuro. Gracias al Dr. Richard Haines hemos sabido de un artículo tan interesante como bien escrito que nos aporta información sobre luces de formación espontánea en la naturaleza, útil para estudiosos de las anomalías: D. Fidani, “The earthquake lights (EQL) of the 6 April 2009 Aquila earthquake, in Central Italy”, Natural Hazards and Earth System Sciences, Vol. 10, 2010, páginas 967-978. El autor diseñó y remitió una encuesta a los residentes locales tras el fuerte terremoto del 6 de abril de 2009 en Aquila (Italia), encontrando informes de alrededor de un millar de fenómenos, de los que 241 fueron de naturaleza luminosa y 99 ocurrieron antes del seísmo. "Luces globulares, nubes luminosas y luces difusas -dice el autor- fueron más frecuentes antes del terremoto”. Portada del último libro del Dr. Peter Sturrock. Peter Sturrock es uno de esos pocos científicos eminentes que se ha comprometido con el estudio de los ovnis (aunque sus intereses abarcan también la parapsicología). Parafraseando el libro de Charles Dickens Historia de dos ciudades, la obra muestra a un científico que ha fraccionado su vida entre la dedicación a la ciencia y a los fenómenos no convencionales. Sturrock, inglés de nacimiento, pasó sus años formativos en la Universidad de Cambridge (el avistamiento en otoño de 1947 de un objeto redondo blanco en vuelo continuo durante 1 minuto fue su primer encontronazo con lo para-convencional) hasta que marchó a los Estados Unidos, en donde casó por vez primera con una americana entusiasta de los “fenómenos no ortodoxos”, a través de quien descubrió la obra de 1950 de Donald Keyhoe, Flying Saucers Are Real (Los platillos volantes son reales), de los que escribe que “constituye una buena defensa”. Como director del Institute for Plasma Research, en 1971 contrató a un joven astrofísico francés experto en informática, Jacques Vallee, quien -reconoce el autor- ha ejercido una gran influencia en su vida. Después de leer sus libros, el tema ovni le intrigó hasta decidir estudiarlo por sí mismo. El resto es ya la historia de una profundización progresiva en la investigación ovni y de una extensa bibliografía y notorias e influyentes actividades de investigación. Reconozco que tiene mucho mérito sostener ideas contracorriente en el ambiente académico. Y en ese aspecto el Dr. Sturrock se ha hecho acreedor de un gran respeto por su valentía. Según cuenta en su libro, sus ideas inconformistas eran “toleradas” por sus colegas, si bien es cierto que como defensor del concepto ovni ha sido siempre conservador o, al menos, discreto en forma y fondo1,2, al contrario que los planteamientos radicales de otros científicos profesionales, como el psiquiatra de Harvard Dr. John E. Mack, por poner un ejemplo concreto. En algunos de los capítulos que abarca el “yo científico”, Sturrock cita ejemplos de anomalías o fenómenos anómalos en el campo de la astrofísica cuya aceptación dio pie al descubrimiento de hechos nuevos para la ciencia. Aplicar este corolario al fenómeno ovni es lo inmediato. Pero quiero hacer una reflexión. A mi entender, una cosa es un misterio o un hueco en el tapiz de nuestro conocimiento y otra muy distinta un hecho que contradice o se aleja del conocimiento aceptado y que además no se basa en experimentos repetidos y controlados. Por ejemplo, la “anomalía” del hallazgo de la emisión de radiación a pulsos regulares de una estrella de neutrones (pulsares), que más bien son datos nuevos adquiridos objetivamente mediante nuevos sistemas de detección, a falta de una teoría que los englobe, difiere sustancialmente de las historias que describen las observaciones ovni, que además de carecer de soporte objetivo están sólo sustentadas en el testimonio humano, anomalías que se han demostrado falsas en lances similares (confusiones). Para complicarlo más, la incidencia de fraudes en el medio ovni es enorme comparada con el entorno académico. Para el hombre de la calle este libro es educativo. Para el científico es provocador. Para el ufólogo es un apoyo. Es una autobiografía con un “plus”: demuestra que el amor por la ciencia es compatible con el estudio científico de los ovnis. Con lo que estoy de acuerdo, naturalmente, si y sólo validamos el término “científico” de la frase. A mi juicio, a día de hoy mucha de la ufología ha sido pseudo-científica, con excepciones. Peter Sturrock es una de tales excepciones. Una verdadera anomalía en la esencia de la ufología. Peter A. Sturrock, Report on a Survey of the Membership of the Astronomical Society Concerning the UFO Problem, Stanford University Institute for Plasma Research Report No. 681, enero de 1977. Peter A. Sturrock, The UFO Enigma: A New Review of the Physical Evidence, Warner Books (Nueva York), 1999. ○ The UFO Files (Expedientes OVNI) es un libro publicado por The National Archives (Archivos nacionales) de Gran Bretaña y escrito por el Dr. David Clarke, que he recibido amablemente de su autor, profesor de la Universidad Hallam de Sheffield y asesor de los archivos nacionales británicos en lo concerniente a la documentación sobre ovnis. La obra, de 160 páginas está profusamente ilustrada. Portada del último libro del Dr. David Clarke. Este libro es absolutamente imprescindible para valorar el proceso de desclasificación de informes ovni custodiados por la Fuerza Aérea y el Ministerio de Defensa del Reino Unido, país que, como muchos otros, tomó la decisión de poner a disposición del público la totalidad de sus archivos relativos a observaciones sobre objetos volantes no identificados. El tema ovni no pertenece a la competencia de la administración militar, porque está archi-demostrado que no representa ninguna amenaza para la seguridad nacional. El esclarecimiento del fenómeno que nos ocupa pasa por su evaluación científica en un régimen de transparencia, como cualquier otro estudio científico. Deseo señalar aquí la edición de una nueva versión del libro del especialista italiano Maurizio Verga, When Saucers Came to Earth (Cuando los platillos llegaron a la Tierra). Publicado ahora por Amazon, sus 264 páginas llevan una fascinante documentación visual de observaciones ovni de los años cincuenta, incluyendo un estudio exhaustivo de la oleada de aterrizajes ovni en Italia en 1954. Es de lectura obligatoria. A estas alturas nadie ignora que la historia contemporánea de los platillos volantes se inició un 24 de junio de 1947, cuando el hombre de negocios Kenneth Arnold vio varios objetos en forma de disco mientras pilotaba su avión sobre el estado de Washington. Han corrido ríos de tinta sobre esta historia, pero probablemente el más meticuloso análisis de esta observación clave acaba de ser realizado y difundido por Martin Shough (editor inglés del blog FOTOCAT, miembro del NARCAP y veterano analista de casos ovni). Shough es bien conocido como autor de informes especialmente precisos, rigurosos y detallados y en esta ocasión su nuevo trabajo no es una excepción. Aconsejo a todos los estudiosos que no se lo pierdan. Probablemente esta no será la última palabra que se redacte sobre este caso crucial, pero de momento es la final y ha sido pronunciada por un profundo pensador y uno de los estudiosos más destacados e íntegros de la escena ufológica mundial. ¡Que les aproveche su lectura! Los anteriores nombres de pila se refieren al ingeniero canadiense Gerald Bull, al testigo y ufólogo francés Michel Figuet y al astrofísico galo-americano Dr. Jacques Vallee. Este es un absorbente escrito salido de la pluma del ingeniero de telecomunicaciones y destacado analista ovni Manuel Borraz Aymerich, que nos dibuja amplia y realistamente los antecedentes de unas observaciones ovni registradas en Fort-de-France (isla de Martinica) el 20 de septiembre de 1965. Al mismo tiempo, notas biográficas sobre los protagonistas añaden una dimensión más a este ensayo, que no es sólo un informe técnico acerca de un incidente que se ha logrado resolver. El autor ha querido mostrar la trayectoria de aquellos que se relacionaron con el caso, a saber, el “artífice”, el “converso” y el “teórico” y su interacción (o falta de ella) en el curso de los años. Me gusta ver la excelente evolución del estilo de Borraz; y es que para escribir bien sólo hay que escribir mucho. Aquellos lectores que residan en Valencia y quieran realizar trabajo voluntario en ufología, les invitamos a escribirnos.